I've been shambling around the house since our return, doing laundry, wistfully pouring sand out of the bottom of my purse, pulling the bag check tags off of my suitcase and guitar case...all the sad little post trip rituals. The cat has finally stopped glaring at me and has morphed back into the familar purring body heat leaching slug I know. 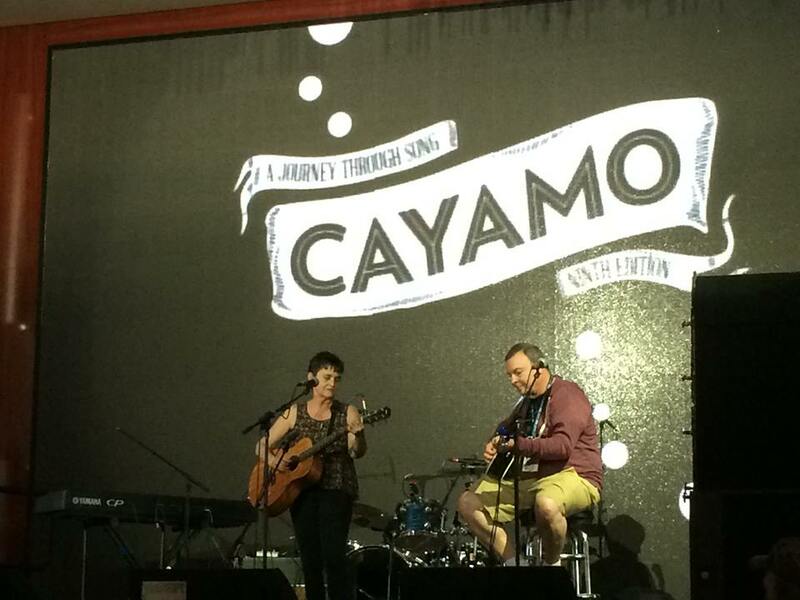 As always, Cayamo was an explosion of the finest that Americana/Folk/Roots music has to offer the world right now. There is always a little something for everyone, the established legends (John Prine, John Hiatt, Lucinda Williams, Steve Earle, Shawn Colvin, Buddy Miller, Jim Lauderdale, David Bromberg, Larry Campbell, Theresa Williams), the hot new superstars (John Fulbright, Jason Isbell, Chris Stapleton, The Black Lilies, The Brothers Landreth, Kacey Musgraves), and a wide range of tomorrow's royalty, all those acts you've never heard in the mainstream who lay you out with their artistry and leave you gasping, "Why are these people not FAMOUS?" 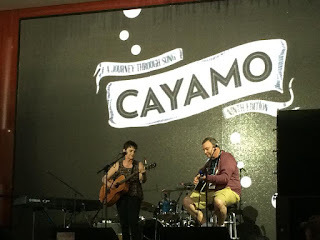 (Foy Vance, Angeleena Presley, Birds Of Chicago, Sam Lewis, American Babies, Mingus Fishtrap, etc etc etc.). Why indeed. As you'd expect, I find these trips enormously inspiring and uplifting. Being who I am, they also have the tendency to leave me revved up, guilt ridden and furious with myself for not working hard enough or being brilliant/wonderful enough. Meh. The whole brilliant and wonderful thing will wear itself out in a few weeks I am sure. But work hard? Yeah. That is something I can do. Hence, the blog. on-board merch store (yes, they had one, of course)...and finished it sitting in the Fort Lauderdale airport on our way home. Fantastic read. Everything you would expect from one of the brightest, most articulate people to ever pick up a guitar. It's the story of a fascinating music career, to be sure. But even more than that, it's a picture of a real human being; a funny, wise, fragile, tough woman who is not afraid to be completely herself with her audience and speak in her own unique voice. This sang to me. I come from an extensive background of letting others put words in my mouth, from childhood right into much of my adulthood, so that people would like me. Gutless, I know. But there you have it. Simply to be myself, and not manage another's opinion of me, has been one of the longest weirdest trips of my life. So I love people who don't pretend, even when it seems like they have every reason to, in this overmarketed, tightly packaged, glossified world we now apparently inhabit. Great book. Read it. What a treat. See above: we played on the boat in the open mic competition. We did NOT win; however we did receive the (coveted) runnerup title and a very nice cold bottle of champagne which we shared with friends. Thank you to Laura Fox for taking this picture of us looking very serious and artistic.